The Jazzbugs’ music features toe-tapping, quick-witted, uplifting hot jazz in the rich tradition of 1920s and 30s Buffalo songwriters such as Jack Yellen and Harold Arlen, to name a couple. 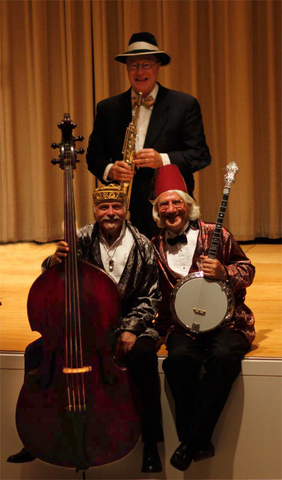 Dr. Jazz has led retro bands for many years, from the legendary UB Skiffle Band to the Ukulele Ladies to the current Jazzbugs lineup and has played with Leon Redbone, Bonnie Raitt, John Hammond Jr. and several others. CLICK HERE for band website.